Chopard L.U.C Time Traveler One (Ref. 168574-3001) in stainless steel. 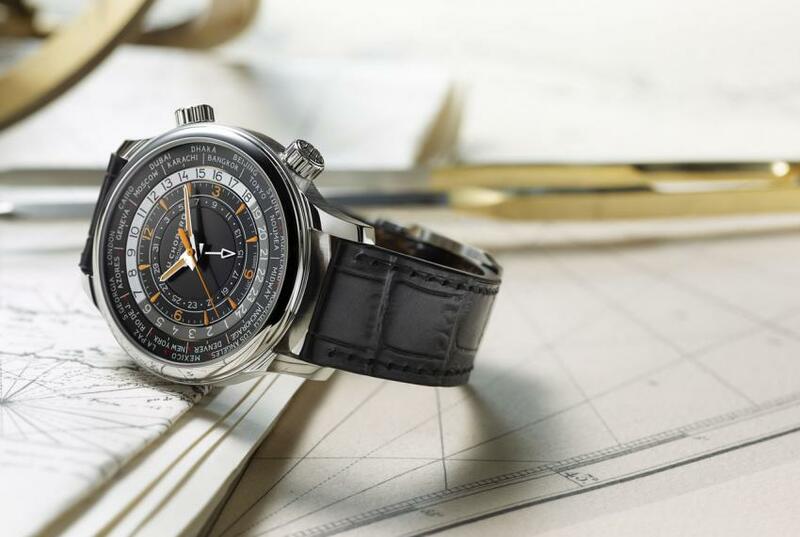 Before we would take off on our travel with the new Chopard L.U.C Time Traveller One and the L.U.C GMT One, make yourself comfortable in your first class seat, indulge in a glass of our finest drinks and let us take you on a short time travel. 20 years ago, Chopard co-president Karl-Friedrich Scheufele’s dream to have the company recognised as a Manufacture came finally true, with the launch of the Haute Horology L.U.C collection (L.U.C is the abbreviation of the founding father’s name Louis-Ulysse Chopard). 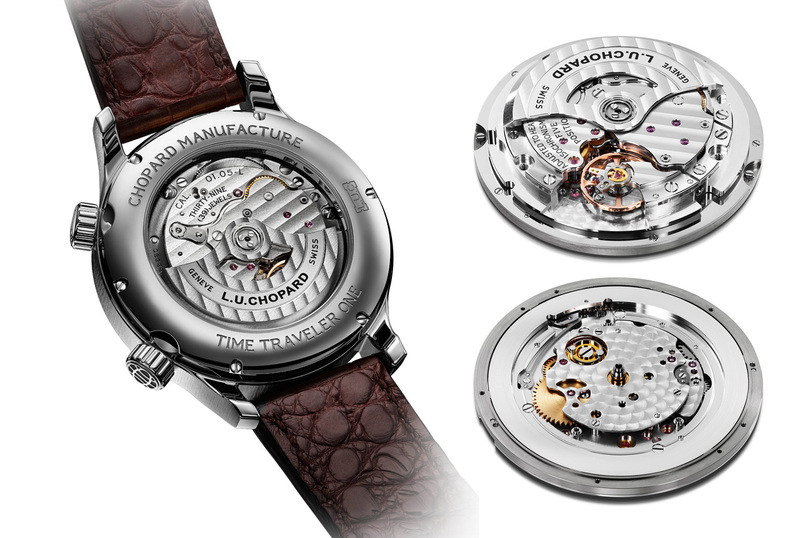 To obtain the Manufacture designation, a watchmaking company has to produce at least one in-house movement, and while they were in business for a long time, Chopard lacked such a calibre. He found the necessary watchmaking talent in Fleurier that, at the time, was still hurt by the quartz crisis. 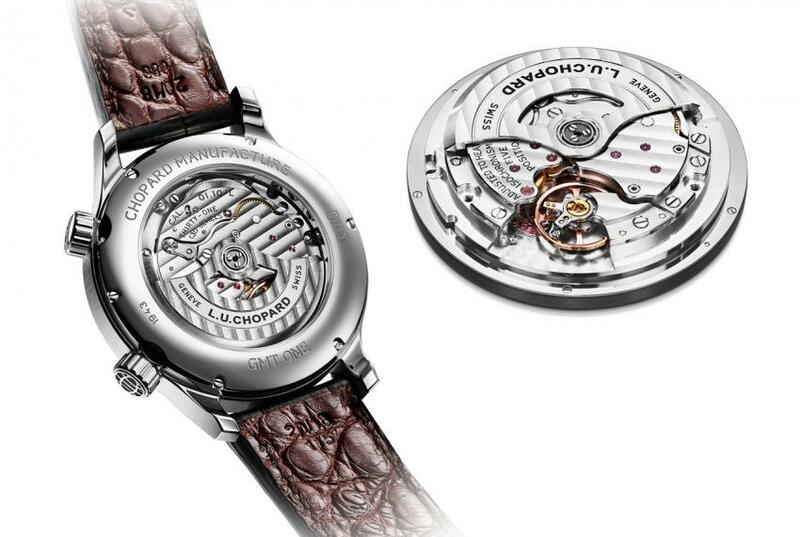 They were aiming to do something extraordinary, a thin micro-rotor movement with two stacked barrels, and after three years of R&D, in 1996, Chopard presented the L.U.C 1.96, later renamed L.U.C 96.01 L, which became the base mechanism of more than ten movements. It was both COSC certified and bore the Poinçon de Genève quality hallmark, for exceptional movement finishing. Throughout the years, Chopard Manufacture continued to raise the bar and go after new challenges, today having a portfolio of 11 base movements, along with more than 80 variations. To celebrate their 20th anniversary in 2016, Chopard Manufacture is launching its first worldtime watch powered by the automatic L.U.C 01.05-L, and the first dual-time watch powered by the automatic L.U.C 01.10-L. 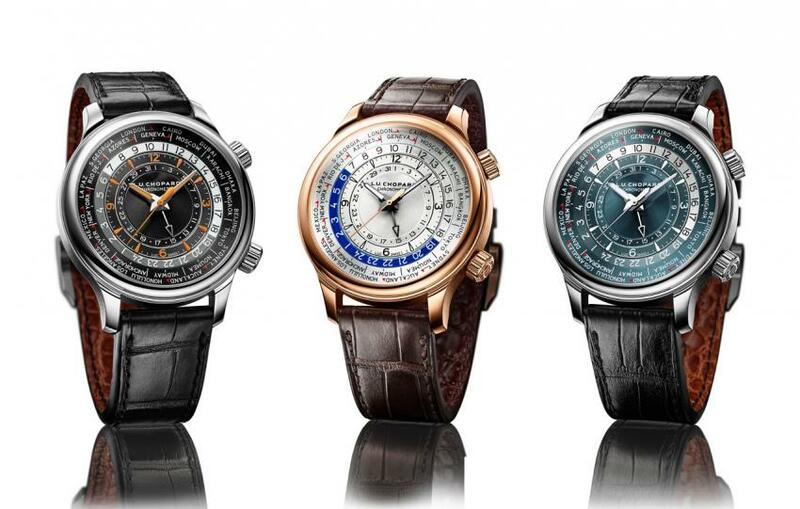 It is now time to fasten your seat belt and adjust the time on your Chopard L.U.C, but which one will it be? The Chopard L.U.C Time Travel One collection: Ref. 168574-3001 – in stainless steel, Ref. 161942-5001 – in 18-carat rose gold and Ref. 161942-9001 – in platinum. The L.U.C Time Traveler One is designed to keep track of time in every time zone across the planet. There are three versions of it: the Ref. 168574-3001 with stainless steel case with a black, orange and white coloured dial, the Ref. 161942-5001, in 18-carat rose gold case and sunburst silver-toned dial with blue highlights, and finally the platinum Ref. 161942-9001 with a unique grey-blue dial. The dial is laid out in a series of concentric circles, an arrow hand points to the date, while the surrounding railway track circle serves to read the hours and minutes of the local time zone. It can be adjusted using the crown at 2 o’clock, while the crown at 4 is used to adjust the 24-hour ring that features reference cities symbolising the 24 main time zones. A closer look at the rose gold Chopard L.U.C Time Traveler One Ref. 161942-5001. Measuring 42 mm in diameter and 12.09 mm in thickness, the L.U.C Time Traveler One strikes the right balance between size and readability of the busy worldtimer dial. The Chopard L.U.C Time Traveler One is powered by the Calibre 01.05-L, with 60-hours of power reserve. It is powered by the COSC certified automatic Calibre 01.05-L, based on a brand-new movement developed at the Chopard Manufacture in Fleurier. Only 6.52 mm thick, the L.U.C 01.05-L beats at 28,800 vph (4 Hz) and it offers approximately 60 hours of power reserve. As with other L.U.C movements, it is finished to the highest standards, including decorations such as chamfering and Côtes de Genève applied to the various components. Pricewise, we are looking at $12,800 US for stainless steel, $22,500 US for rose gold and $35,600 for the platinum version. For travellers who prefer a cleaner dial, Chopard is proposing the L.U.C GMT One (Ref. 168579-3001), powered by the L.U.C 01.10-L automatic GMT calibre. 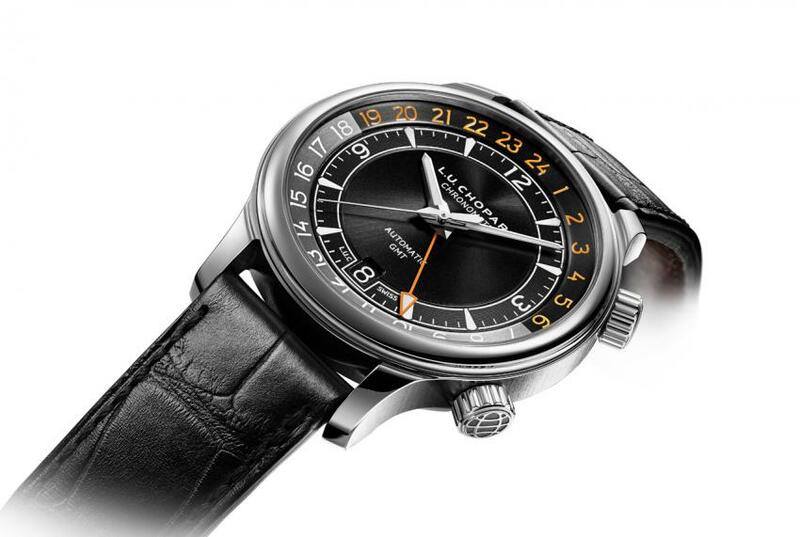 The stainless steel L.U.C GMT One has a diameter of 42 mm and height of 11.71 mm. The bezel, the lugs and the back of the watch are polished, while in the middle, the case has a vertical satin-brushed finish. The crown at 2 o’clock sets the date and the local time, while the second crown at 4 controls the arrow-shaped GMT hand pointing to the second time zone. 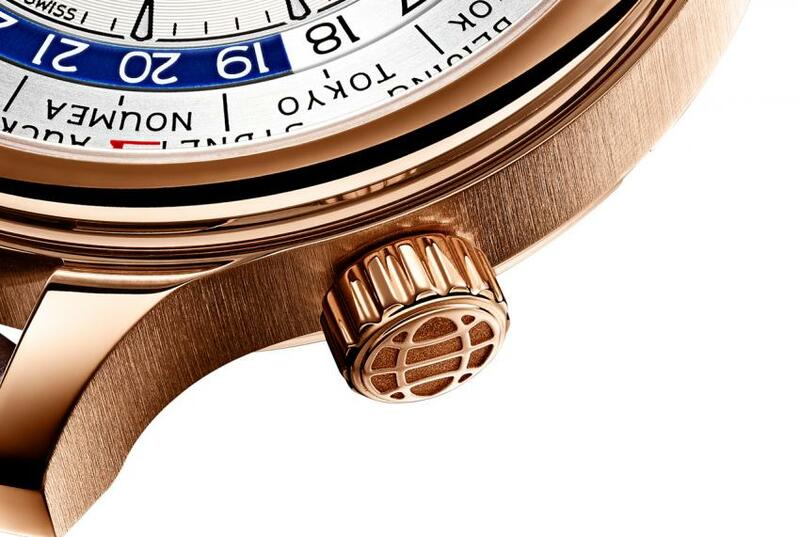 The GMT hand is orange on the stainless steel version and gilt on the rose gold model. The automatic L.U.C 01.10-L movement is graced with the most meticulous Haute Horological finishing and it can be admired through the sapphire crystal case back. As every L.U.C timepiece equipped with a function indicating the seconds, the L.U.C GMT One is chronometer-certified by COSC. It will retail for $9,500 US. For more about Chopard and their exceptional L.U.C collection, visit www.chopard.com.